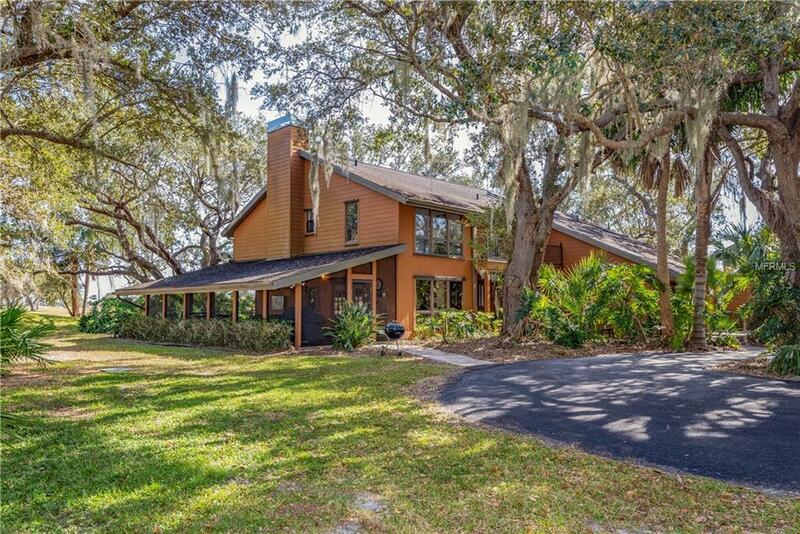 INCREDIBLE custom home on 2.72 acres of private land with a pond. This property is part of a larger package listed separately including golf course, surrounding land, and more (See MLS #C7247948). Find private porches with beautiful views overlooking the golf course, a fire pit area and more. The lower level features engineered hardwood floors. The great room has a stunning 2-story stone fireplace with tongue and groove cedar ceilings. The formal dining room connects to the gourmet kitchen with wine cooler, Fisher Paykel dishwashers, quartz counters and custom cabinetry. Another stone fireplace with imported rock from Michigan is the focal point, keeping the room connected with the kitchen area and breakfast room. The back porch, is the perfect place to dine and unwind, just off the kitchen. Opposite the great room, find a kingly master suite with separate sitting area, a private lanai and an en suite bathroom. The office, another full bathroom, and a spacious game room finish the ground floor. Upstairs, find ANOTHER master suite and 3 additional guest bedrooms. A connected 3 car carport with separate golf cart bay and workshop space is made with same fine custom detail as the home and configures a perfect space for further privacy. Schedule your showing today to see this amazing home and property!